When I send an order, I count per kilogram. 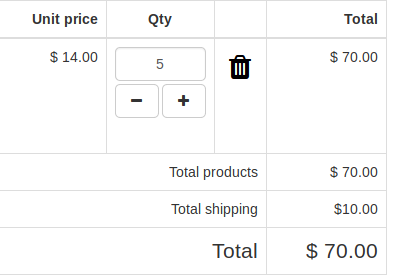 At a certain weight the shipping costs are increased. They also receive a gift at € 75. So if they come to that € 75, - they get free shipping whatever the weight is. That is not good. 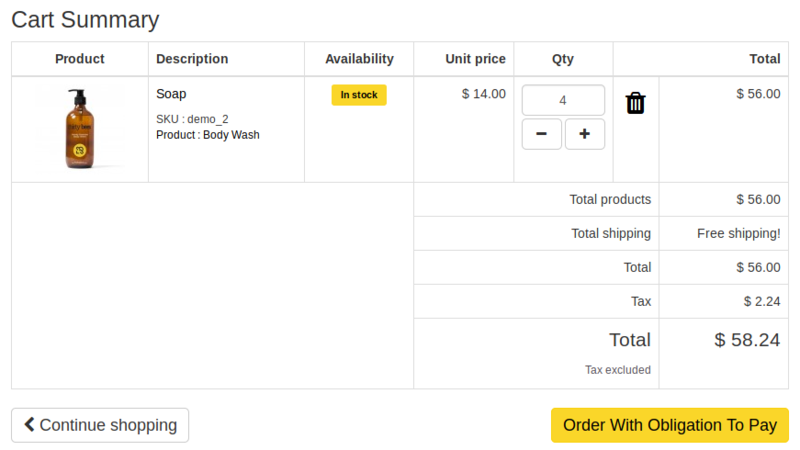 The customer simply has to pay the higher shipping costs. Do you have shipping rates entered for the weight they are placing orders for? 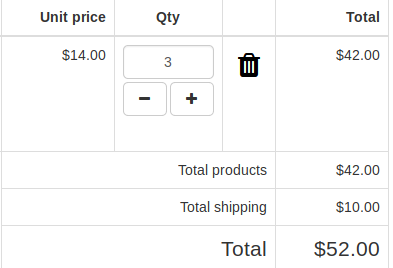 In the carrier, if you select to disable the carrier when out of range, do you still get the free shipping option? Do you have free shipping selected with the cart rule? Interesting, his could be a bug. Let me test and confirm. Are you using any 3rd party modules for shipping or anything in the order process? Have came across identical issue when going out of range, the page does not refresh correctly and it says Free shipping on some themes, on original TB theme it says 0$. But if f5 is clicked to refresh the page, the row with shipping is gone, but it comes back if qty is increased or decreased. Tested on fresh 1.0.8 Softacolous TB instalation, Disabled one carrier, added weight ranges to existing carrier, added weight atribute to one product. There must be something in cart-summary.js that does not refressh all when customer is logged in. Have just removed address from my testing account, and update qty with changing shipping row is working again. So this is connected to address, as once address is added the bug appears again. Removing only first line, makes things working and shows no visible refresh to the center div. Now its coders turn, to tell what those two lines actualy do. As the problem mentioned only shown is address is present by customer. This does not show if customer is not logged in or if it does not have address specified. Same thing is with the PS Bootstrap theme I'm using (stock one or modified) and no matter if on PS 1.6+ or TB. Adding quantity to go over weight of carrier. 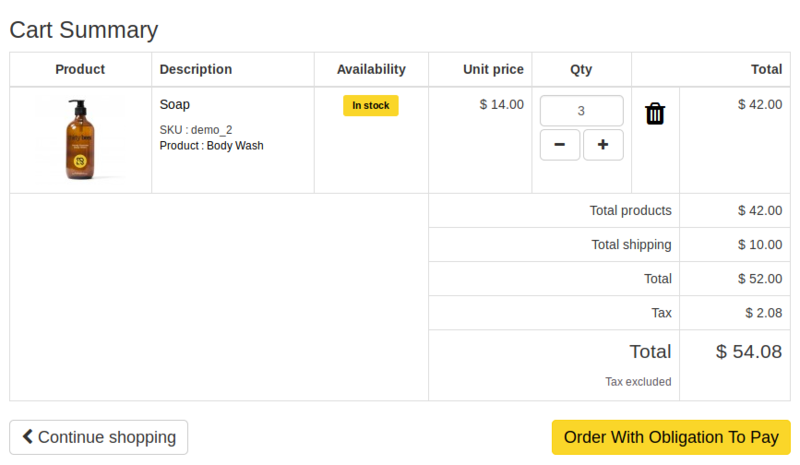 Also changed the shopping-cart-advanced.tpl (Step 5), so it alows only deleting a product, but not changing quantity. 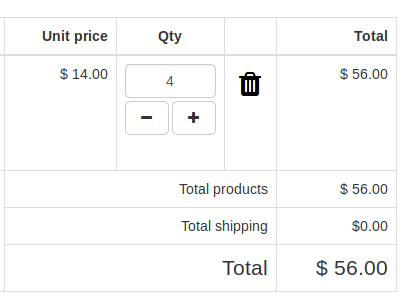 As on step 5 shipping is already selected, and changing qty to UP it can went to free shipping if carrier is out of range. 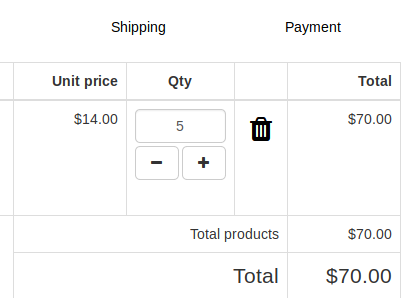 Now only thing I would like to implement, is to show notification in Shopping Cart Summary (1st step) if there cart is over weight range for the available default carriers.